Workers sort through the trash at the Otter Lake Landfill. 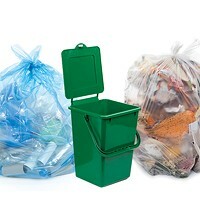 In a recent self-assessed report card, the Otter Lake Community Monitoring Committee released the results of a December waste audit that found 52 percent of residential waste and 71 percent of business waste was reusable, recyclable or compostable material. He also notes that 13 percent of residential waste and 15 percent of business waste is textiles that could go in charity bins widely available across the city. Charities raise money for their good deeds via sales of secondhand clothing. 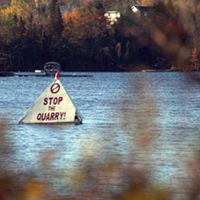 On the whole though, the numbers have been consistent since 2002, through four consecutive studies—the latest being in 2012 by the Resource Recovery Fund Board (now called DivertNS). According to Doug Hickman, a solid waste consultant who works locally and internationally with governments to improve waste policy, that study found more than 50 percent of materials going into the landfill were banned. 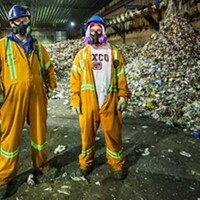 Nova Scotians trundle on at practically the same recycling rates they’ve had for decades. Government programs are based almost entirely on public education, which is still needed to maintain current rates, but is no longer moving us forward. 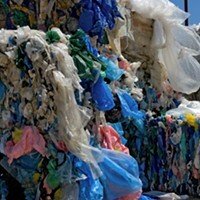 “In 2004,” Hickman says, “we generated about 400 kilograms of waste per person. Such measures exist elsewhere, now that other jurisdictions have surpassed our once world-leading waste management system. “In Massachusetts,” many municipalities “have a pay-as-you-throw scheme,” says Hickman. 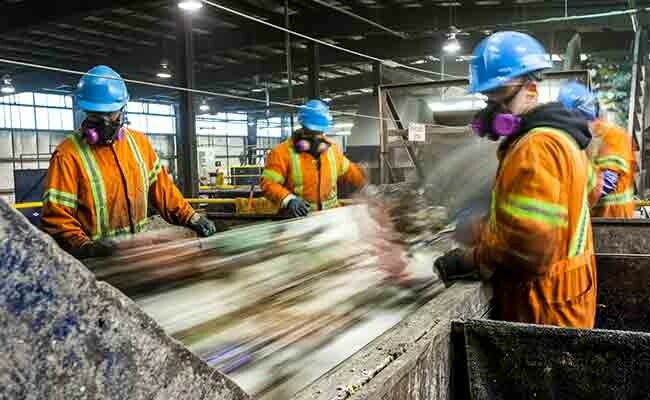 The Flemish region of Belgium has instilled an environmental tax for disposal based on weight and what kind of waste it is—the most expensive being landfill waste—while the collection of textiles, paper and bottles is free. “They are down to 115 kilograms of waste generated per person per year,” Hickman says. of residential waste reused, recycled or composted. 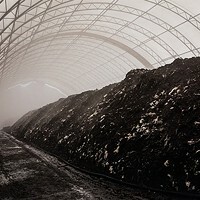 Hickman knows that tax policies are politically unpopular, but says Nova Scotia needs to consider financial disincentives to waste, and incentives to composting and recycling as part of its plan to build a local economy. He suggests that this is a revenue-neutral system change, not in how much we all pay for waste management, but rather how we go about it. 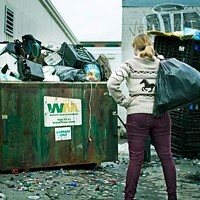 One might pay a rate for waste and a lesser rate for recycling and composting. Despite the disappointing numbers, both Hickman and Donnelly say that there has been progress due to HRM’s clear-bag program, which allows for some monitoring of household waste. In fact, while many of the wrong things are still going in the landfill, the “amount of residential waste going to the landfill has decreased by 24 percent, thanks to the municipality’s clear bags policy,” according to the CMC’s report card document. Update: An earlier version of this story misquoted Hickman as saying seven jobs were created per tonne of recycled materials, when it's actually per 1,000 tonnes. The quote has been corrected and The Coast apologizes for the error. Sorting out the problem with Halifax's rental waste.